9 out of 10 home buyers turn to the internet to begin their property search. Having a comprehensive online marketing strategy is the most critical element for maximizing the exposure that your property receives locally, domestically and internationally. By listing your property in the San Diego Multiple Listing Service (MLS) it will broadcasted to participating brokers and agents that might be working with a potential buyer. When we list your property in the San Diego MLS we set it up to participate in IDX (Internet Data Exchange). By using IDX technology your property will be automatically listed on all local broker and Realtor websites that offer the capability to search the MLS. We list your property on the 3 leading real estate online marketplaces with high search traffic: Realtor.com, Trulia.com and Zillow.com. 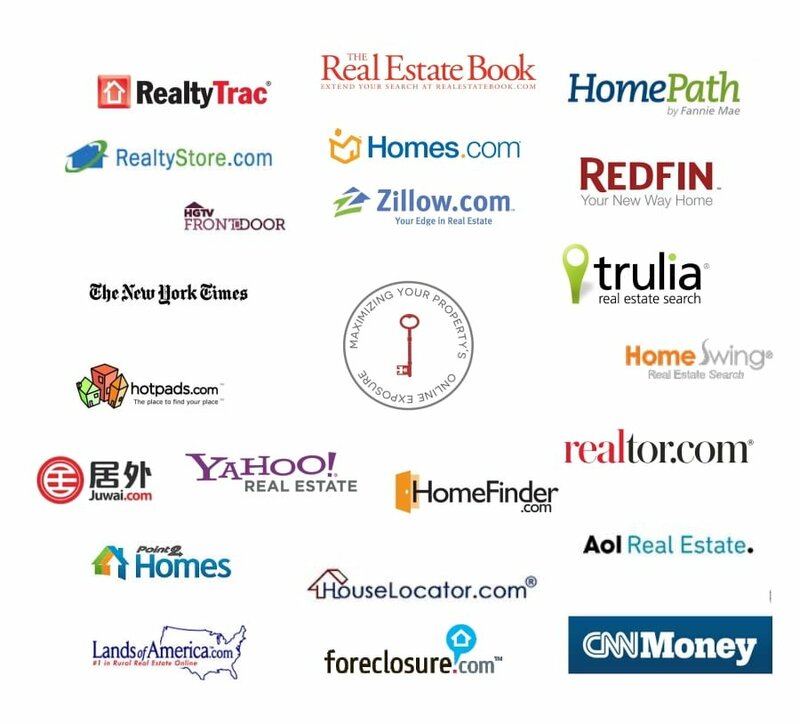 These websites account for over 50% of Internet traffic related to real estate search. We also list your property in over 60 other real estate websites like Yahoo Real Estate, Wall Street Journal Online, The New York Times Online, Hot Pads and many others to maximize the exposure your property receives from potential buyers browsing these sources. Email blast campaigns are used to market your property to Real Estate brokers and agents nationally and internationally (over 20,000 professionals). Email blasts are also used to target our past client database with expands to over 2,000 qualified contacts both domestically and internationally. 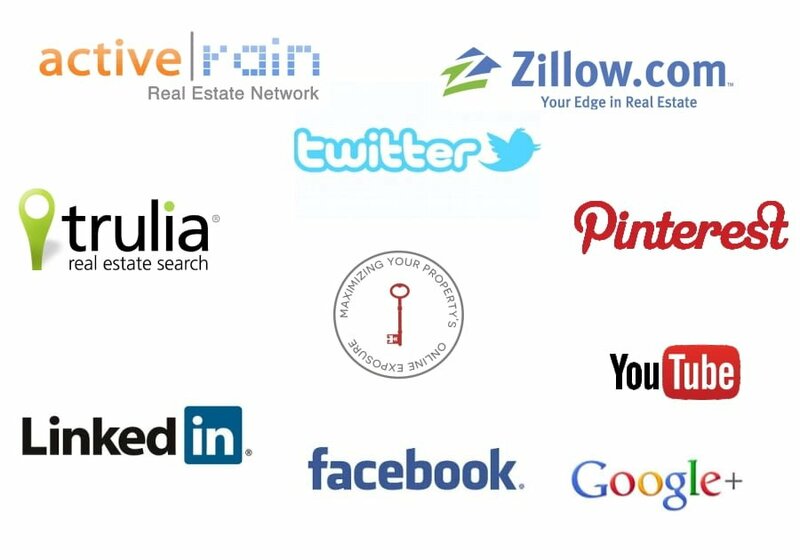 We market your property in the various social media platforms like Facebook, Twitter, Pinterest, Instagram, Active Rain and others. Social media engages people in conversations and creates followers which in turn can help us get your property in the eye’s of thousands of users at the touch of a button. We utilize both organic posts and paid ads to market listings in social media. Our goal is to give your property the maximum possible exposure from the Internet reaching the maximum amount of qualified buyers daily. Thru IDX technology and national listing syndication we have the capability to list your property on thousands of broker and agent websites using IDX technology and on the leading online real estate marketplaces – Zillow, Trulia, Realtor.com (these 3 account for 50% of real estate related search traffic) and many others. By broadcasting your property listing to over 60 national and international Real Estate search websites and to thousands of Realtor and Broker websites we ensure that your property will reach the maximum amount of qualified buyers worldwide. By integrating social media into our marketing efforts we introduce your property to potential buyers that engage in conversations about real estate with their contacts on the main social media websites. Once your property is listed, we will disseminate your property listing and dedicated property website across a broad spectrum of social media sites, real estate search websites, search engines and blog portals. We utilize both organic posts and paid ads to market our listings in social media platforms. When you list your property with us we will showcase your home using a micro page within our website. We will also design and create a custom property website dedicated to your home and set up an MLS listing that will be broadcasted almost instantly to over 60 national real estate search websites and to hundreds of local Realtor and Broker websites. All these online marketing tools will be search engine optimized and listed on the major search engines driving most of today’s traffic on the Internet. We understand the art of marketing a home using today’s most advanced tools while harnessing the power of the Internet to reach potential buyers both domestically and internationally. 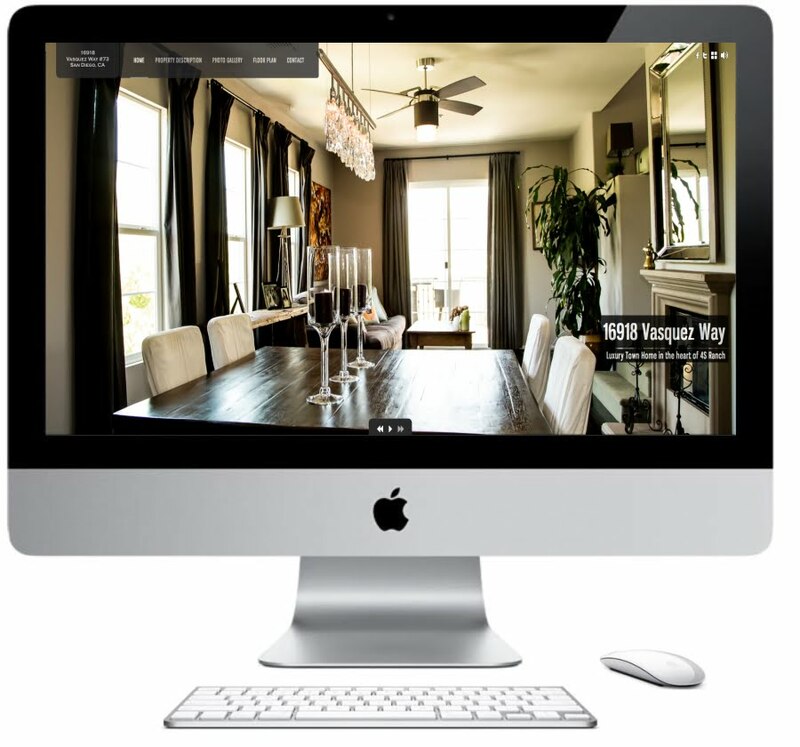 A sophisticated property website will showcase your property and the lifestyle in the neighborhood in a unique way, incorporating various media elements such as a professional photos, video and 3d model to highlight the property’s most distinguishing attributes and characteristics. We will also feature relevant lifestyle information and resources about the neighborhood where the property is located. The website will be search engine optimized and listed with all major search engines including Google, Yahoo and Bing. The Internet is the most popular way for buyers to search for new homes with 9 out 10 buyers starting their home search online. Our adaptive and responsive website ranks on page #1 in Google organic search for many highly sought after keywords like “San Diego Luxury Condos”, “Downtown San Diego Condos”, “Downtown San Diego Real Estate”, “San Diego Luxury Homes”, “San Diego Luxury Real Estate” or “Downtown San Diego Luxury Real Estate”. 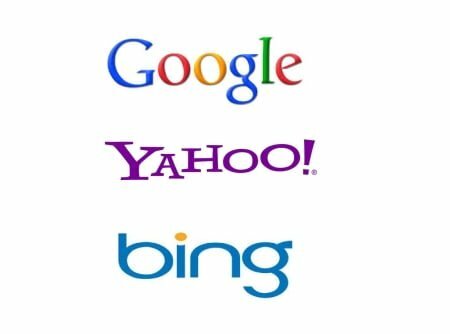 These are just a few examples of over 150+ highly searched keywords that generate over 200 unique clicks on our website any given day. Taking us many years to accomplish such privileged position online and investing a vast amount of resources on this task, our clients can now capitalize on this exposure by having their property showcased throughout our website. Video is the fastest way to share information with potential buyers. Besides being fast it is also emotional and believable and helps market your property in a very unique way. By using a professionally produced video we are able to tell your property’s story using appealing visual images, sounds and other multimedia elements that highlight the property’s most distinguishing features and characteristics. Video is also the best medium to showcase the lifestyle in the neighborhood where the property is located. Having a property video also helps in SEO (Search Engine Optimization) efforts, as users are more likely to select a video result in Google compared to text. 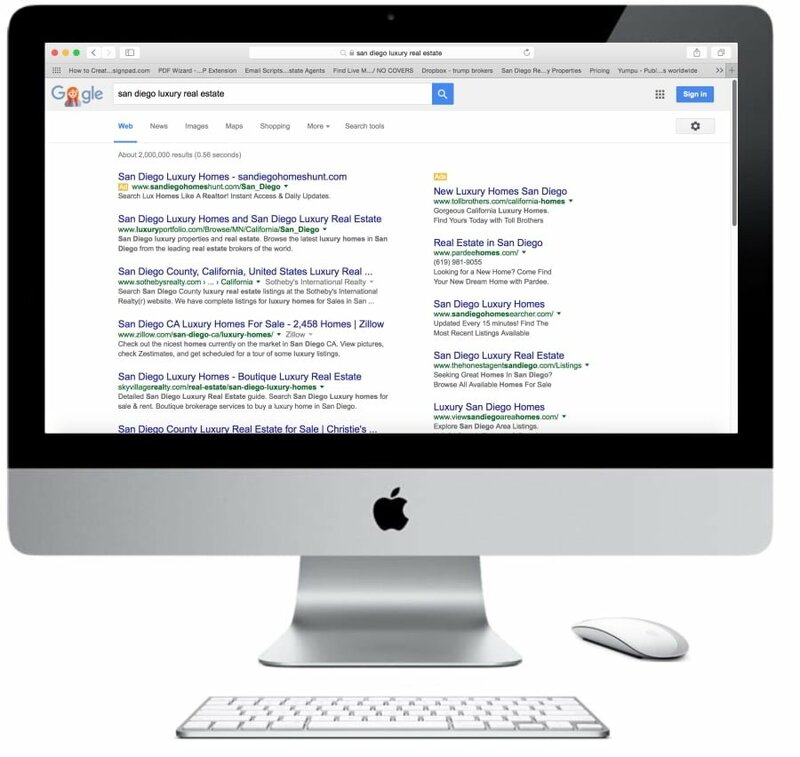 For example, if a user searches for your property address, or searches for community information or homes for sale in the community where your home is located by having a property video published in Google your property video is more likely to come up as a result on the first page of organic results maximizing the exposure your property receives from the Internet. Below is an example of a property video we did for a home in La Jolla. This video also features aerial footage of the property and community footage to showcase the lifestyle of the community in which the home is located. Depending on the listing package of choice we can customize the property video the client’s desire. A 3D model offers a major breakthrough in high-quality, rapid 3D visualization of physical spaces. A 3D Model is a complete three-dimensional representation of a space, which lets you “walk” through the space to experience it as if you were there. This is highly beneficial and useful for fully engaging potential buyers that are using the Internet to pre select homes to personally tour (9 out of 10 buyers begin their search online). A 3D model will allow them to walk thru your home and experience it from a 3D perspective helping them visualize how furniture could potentially be distributed and placed. This in turn generates interest in the property and will invite potential buyers to come and experience the property in person. Our websites and online marketing materials like email blasts are fully responsive and adaptive to mobile devices and tablets. With 50% of online traffic coming from a combination of mobile devices and tablets it is critical to offer an online experience that adapts to the type of device being used. 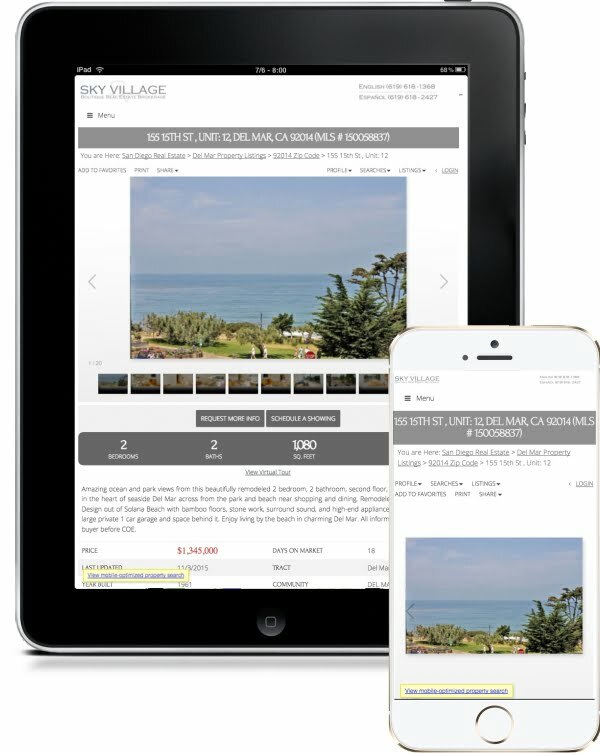 By offering responsive and adaptive online marketing solutions we maximize the exposure that our listings receive from potential buyers across all platforms and device types.